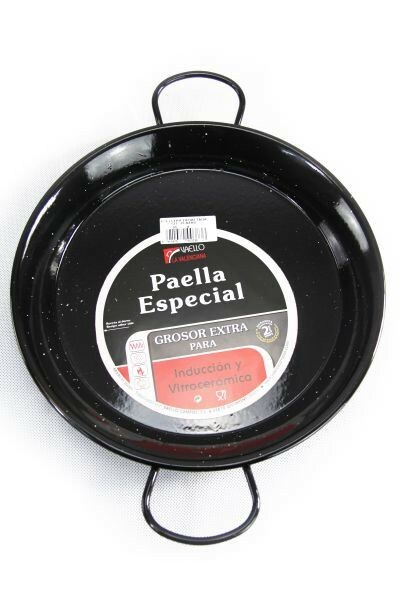 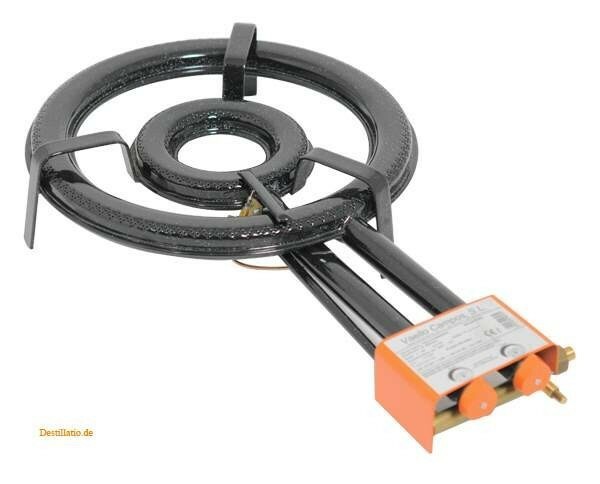 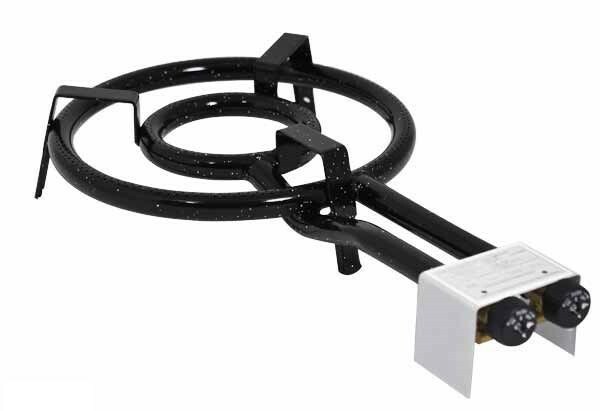 Special offer as long as stock lasts: top quality paella pan - with thick bottom, also for ceramic glass stove. 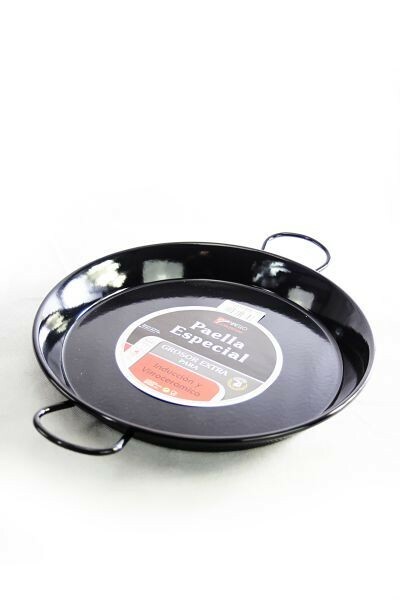 This heavy enamelled pan in the traditional style of Spanish paella pans is not only very decorative, but because of its particularly heavy and flat bottom it is also suitable for all types of stoves (also induction). 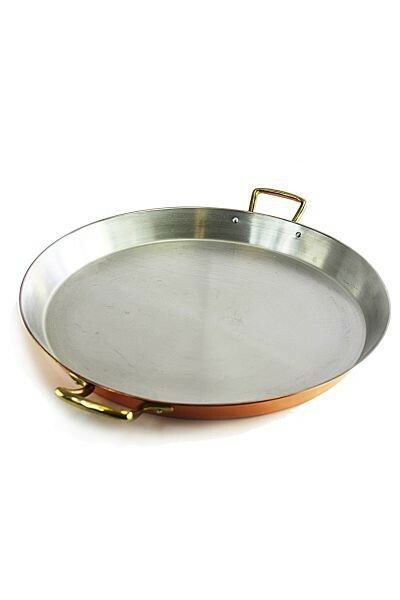 The enamelled pan has a diameter of 38 cm and you will be happy with it for a long time, because it is made of top quality material. 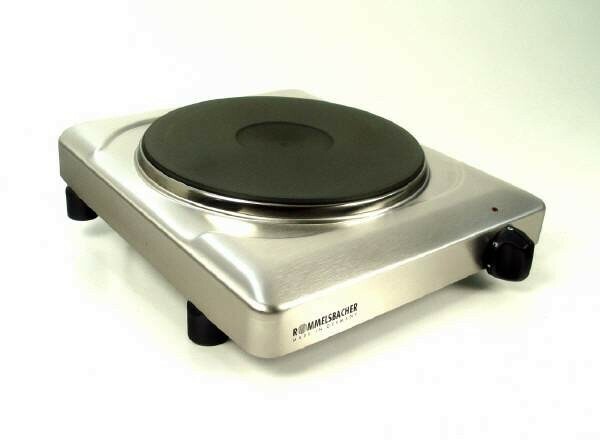 The attractive enamelling makes it also suitable for serving at the table so that you do not have to use an extra bowl or to bring the served plates to the table. The diameter of the pan is adequate for cooking for 8 people.